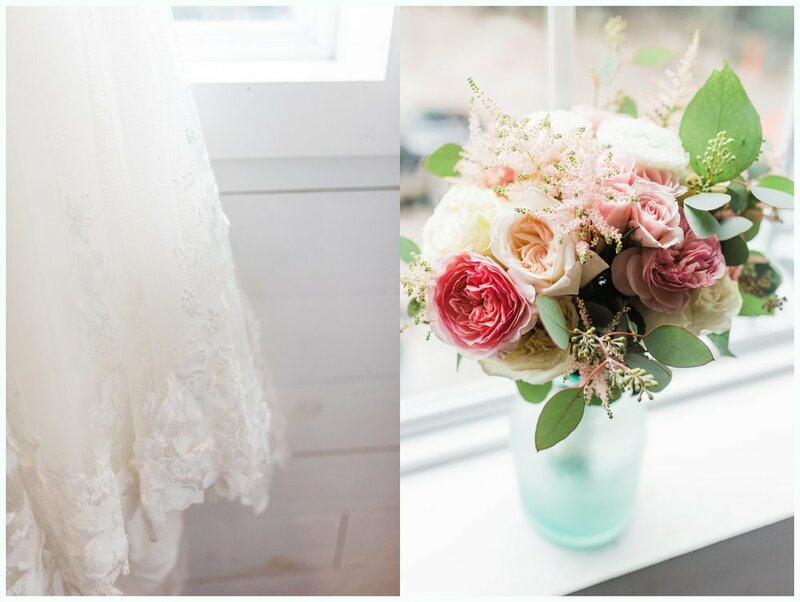 James and Karis had the most beautiful, intimate wedding day at The Farmstead in Trenton, Texas! The weather couldn’t have been more perfect. It was just cloudy and cool enough to keep us from sweating, but no rain! We arrived at the Farmstead (we LOVE The Farmstead yall!) and right away started photographing Karis’ bridal details while they had a last minute wedding run through downstairs. After details, Karis and her bridesmaids got in their gowns and we all headed downstairs and outside for some quick portraits before the ceremony! Excitement was in there air, along with a teensy bit of stress…The guys were late! We were 15 minutes to the ceremony time and James and his groomsmen were in the car still! But they made it! I don’t know if I’ve ever seen a more chill bride though. She was cool as a cucumber through the whole day and just seemed to be having so much fun! 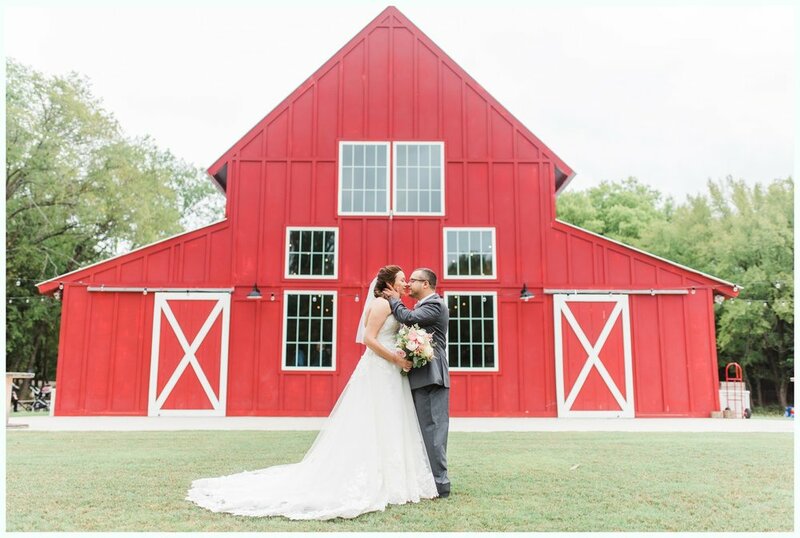 As soon as the guys got there, we grabbed James for a few photos of him and Karis in front of the Farmstead barn. Such a perfect backdrop for a Texas wedding! Karis and James have actually been married since last year, but wanted to have a vow renewal/wedding celebration to include their closest friends and family! SO sweet! The ceremony was perfect, and the reception was so much fun! They danced the night away and exited the Farmstead to handfuls of lavender thrown in the air. Talk about a relaxing bride and groom exit!